CropAcre Magnesium is specifically formulated using the unique ACIDplex technology for easy mixing, enhanced compatibility and efficiency of uptake. 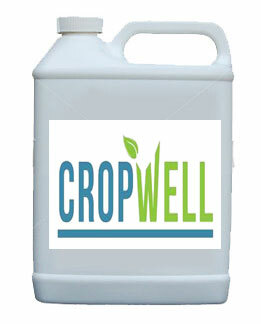 Using CropAcre Magnesium will also improve spraying water quality. In 2kg there is 12% more magnesium in our CropAcre Magnesium than there is in 10kg of Bittersaltz in tests conducted by the University of Nottingham. Testing has shown CropAcre Magnesium Express to be extremely easy to mix, and very compatible with agrochemicals. In most instances a 2.2 kg/Ha treatment will provide sufficient Magnesium to supplement yield and quality in the wheat crop at the traditional flag leaf timing. Where genuine Magnesium deficiency symptoms are already visible in Barley crops, a 3kg/Ha application may be required, and a programme of two applications initially at 1.25kg/Ha at GS 30, followed by 2.5kg/Ha at GS 37 to 55, should be considered. Potato crops respond best to a programmed approach, and 1.5 kg with each or alternate blight sprays, will deliver optimum yields of healthy tubers that will store well. Sugar beet, Carrots and other root crops or brassicas will all respond to foliar Magnesium with increases in yield and quality. The amount of Sulphur that CropAcre Magnesium contributes to the crop is significant in terms of the crop’s overall Sulphur requirement.